“You can’t make everyone happy. You are not a taco”, “Follow your dreams. Eat tacos”, What time is it? TA:CO”, “Taco emergency. Call 9 Juan Juan”. Pretty funny. Is it the cumin? Is it the crunch of the taco shell? Is it the fact that you can buy 10 for a dollar? I don’t know. But, what I do know, is that I like to make my family happy and if tacos make them happy, I MAKE TACOS!!!! &amp;lt;br /&amp;gt; &amp;lt;br /&amp;gt; &amp;lt;br /&amp;gt; Mixed it up on Taco…uh…Wednesday. Taco Bake Preheat oven to 350°. Brown 1 lb very lean ground beef in a medium sized skillet. Add 1 can diced tomatoes with green chilies (I used mild for the kids). 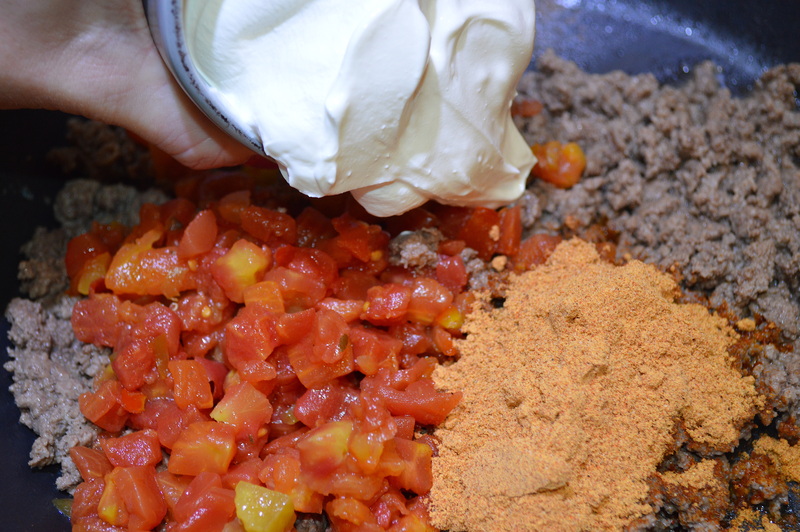 Toss in 1 package of taco seasoning, 1 cup low-fat sour cream and 1/2 cup water. Stir to combine. 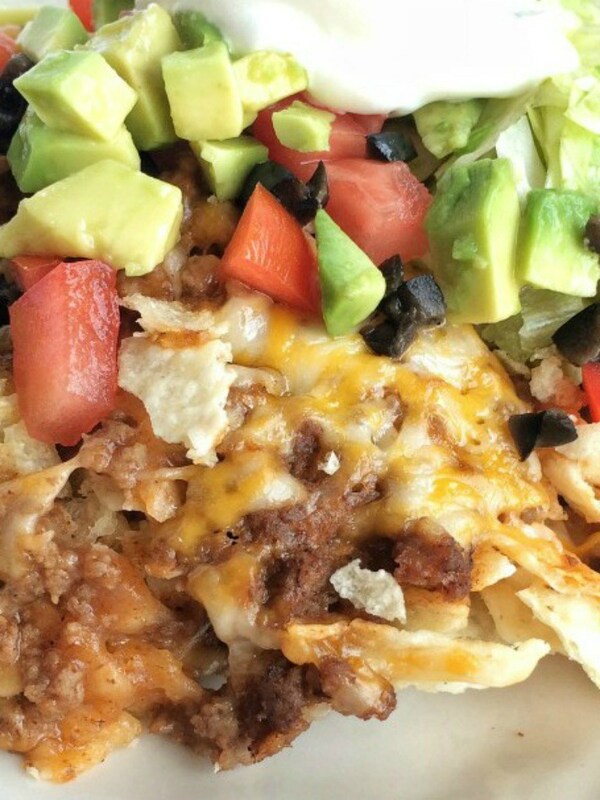 Place a layer of tortilla chips onto the bottom of a lightly oiled, large casserole dish. I used a mix of yellow tortillas and organic blue corn tortilla chips. Heat Queso for 30 seconds, stir and heat 30 seconds more, or until viscous enough to pour. 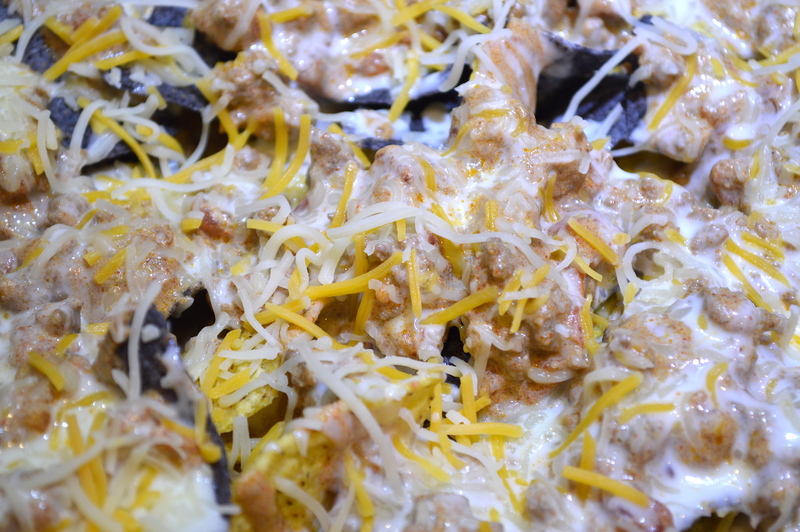 Top chips with meat mixture, drizzle Queso over meat mixture and then top with reduced-fat mexican shredded cheese. Repeat layers. &amp;lt;br /&amp;gt; &amp;lt;br /&amp;gt; Bake 20 minutes until crisp and bubbly. Serve with sour cream, sliced avocado, diced fresh tomatoes and black olives. This turned out pretty well! VERY easy. Next time I’ll add beans and maybe corn. Using a very lean meat and low-fat cheese cuts down on the fat in this meal. Try using grilled and sliced chicken breast instead of ground beef or use a lean ground turkey. Add onions when cooking meat, top with homemade guacamole and chopped cilantro for other variations. &amp;lt;br /&amp;gt; &amp;lt;br /&amp;gt; &amp;lt;br /&amp;gt; Next Tuesday, I’m going to make Tommy Bahama fish tacos. Don’t forget to check back for that copycat recipe! If you feel overwhelmed by all the nutrition advice, calorie recommendations and diet trends, read these: Fact. Not Fad., Let’s Crunch Numbers!, Help Me To Help You!